Have yourself a cheesy Christmas with Popeyes Singapore! 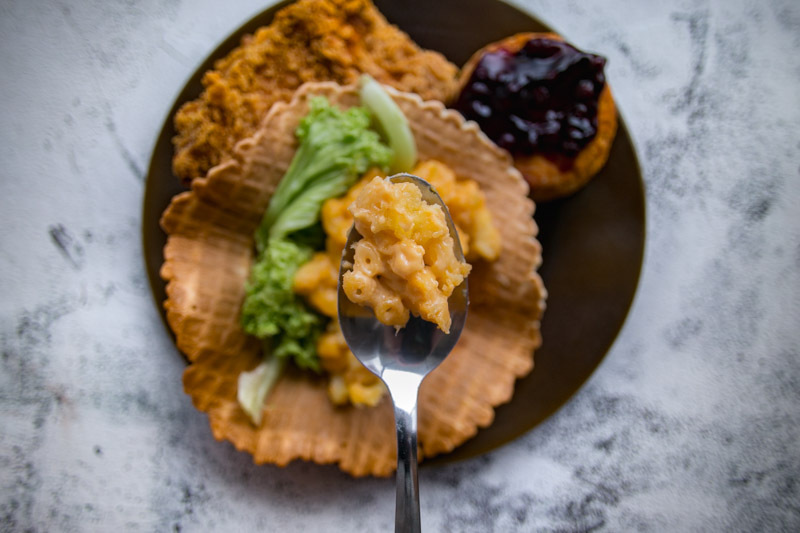 The popular fried chicken chain has introduced a new dish this festive season, available from now until 7 January 2019. 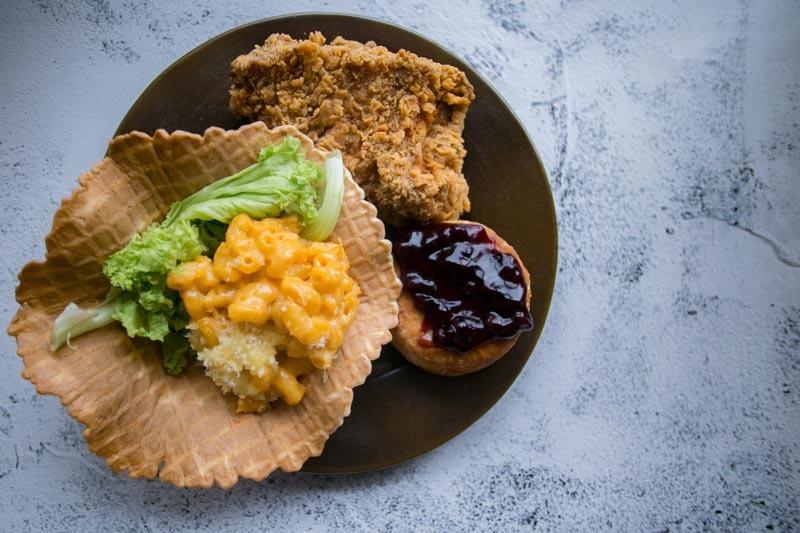 Their Christmas special Mac n’ Chickmas Combo (S$10.20) includes the new Mac n’ Chickmas, blueberry buttermilk biscuits, a side of their traditional Southern fried chicken and a cup of soft drink. 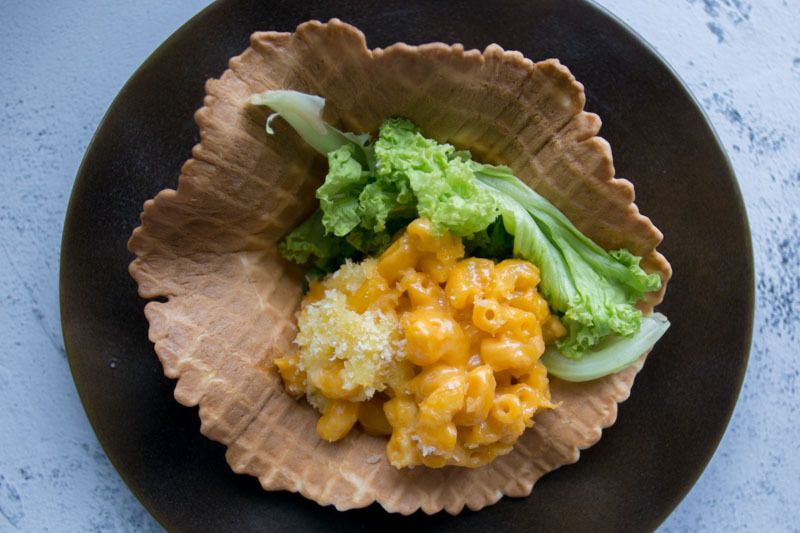 The Mac n’ Chickmas comes with a portion of mac n’ cheese scooped into a waffle bowl. The cheese reminded me of the nacho cheese sauce that you usually get at the cinema snack kiosks. The waffle made a slight crunchy sound as I broke off a small piece. Thinking that it would be crispy, I was disappointed at how soggy and stale it was. The waffle also had a faint vanilla aroma didn’t really go well with the savoury mac n’ cheese. One of Popeye’s popular side dishes is their biscuits, and for Christmas, they’ve released a new blueberry sauce to go with the biscuit. I was again disheartened at how different it tasted from their original biscuit. The biscuit itself did not have a buttery taste, and was very dry too which made it difficult to swallow.